26% of women in the GCC are looking to perform body contouring procedures*. This is a curve your practice needs to get on. Grow your business with enCurve, the innovative radiofrequency circumferential reduction solution that meets your needs and your patients’ aspirations for effective, simple, painless and affordable body contouring. enCurve does not require the continuous presence or manual application of a therapist or nurse; thus freeing their valuable time and maximizing their efficiency. enCurve requires no consumables and no cycle-fees, reducing its operating cost and providing you with more pricing flexibility and complimentary package sessions at no additional cost to you. Due to enCurve's effective targeting of adipocytes and superior energy delivery, patients need 4 to 6 sessions with 1 session per week. They will start noticing results after the 2nd session. enCurve's non-invasive, radiofrequency technology targets fat while bypassing the dermis and epidermis, which minimizes discomfort and allows for an easy patient treatment. enCurve session is 40 minutes for large areas such as the abdomen, flanks and back and 30 minutes for small areas (60 minutes for both arms or legs.) Treatment program is average of 4 to 6 sessions at the rate of 1 session per week. enCurve applies the radio frequency of 27.12 MHz to selectively target adipocytes and delivers a superior power of 300 Watts to effectively heat the fat cells to the required temperature that causes their denaturation and triggers their apopotosis. The body's impedance alters continuously, which reduces radio frequency's reach to the adipocytes thus diminishing its effect. 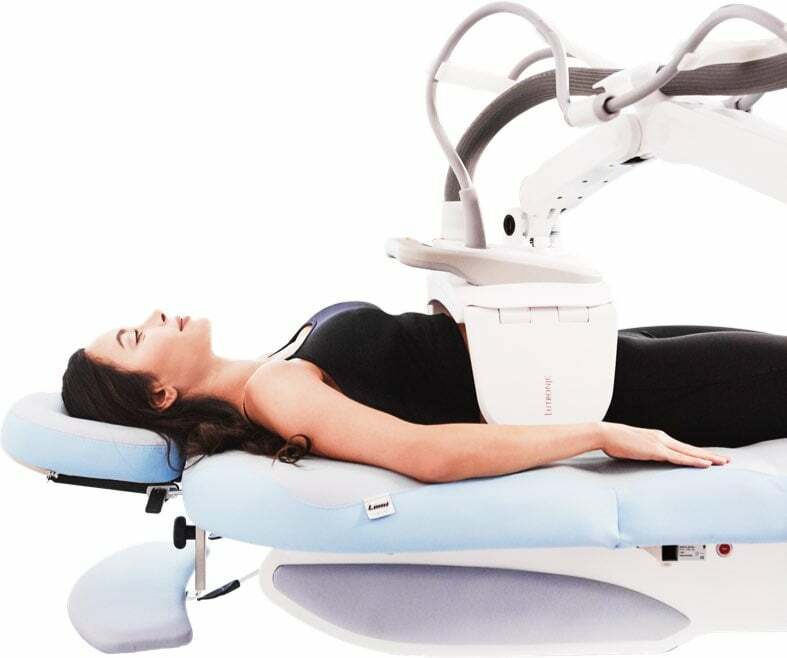 To offset this resistance variation and deliver the optimal energy, enCurve's proprietary PISATM periodically monitors the patient’s impedance and adjusts the energy for a more effective treatment. The reflective power meter periodically measures the patient’s change in impedance and adjusts the output accordingly to maintain optimal treatment efficacy. 300 29 Easy to use interface (GUI). Heating induces sweat, which affects the body's impedance and reduces radiofrequency's penetration. enCurve’s Air-Mode periodically puffs air on the treatment area to dry sweat, reducing sweat interference. Energy is delivered more efficiently. enCurve has the largest applicator that is designed to treat wider areas such as the entire abdomen and waistline in one session. enCurve also has a small applicator to treat smaller areas of the body thus increasing its versatility. "enCurve is a safe body contouring treatment that gave me a better alternative to the invasive options, with results that are visible within 2 weeks of the first session"
"enCurve helped me reveal my curves, and to my surprise, the treatment sessions were short and truly comfortable!" "enCurve finally helped bring out my curves that I wasn’t able to despite long hours of exercising, and now I feel confident to wear anything I want"
"The treatment sessions were comfortable and short and I did not feel any pain. In 40 minutes I was able to finish my treatment and go back to work right away"
What are the key advantages of enCurve over other circumferential reduction treatments available? Treats wider areas in addition to smaller areas. Does not require constant presence or the manual treatment of a nurse. Results noticed from 2nd session. What training is required for my staff? enCurve requires minimal training and is easy to operate. In addition to our clinical training, there is additional training material on our e-learning platform. How much does enCurve cost? Please contact us by clicking here and we will contact you for pricing. What are the required consumables? enCurve requires no consumables making it an ideal, long-term body contouring solution. Imdad is the leading provider of energy-based aesthetic medicine solutions in the Middle East since 1991. Imdad is committed to securing confidence in aesthetic medicine and to help the Middle East become the destination of choice for lifestyle medicine. Why has Imdad qualified enCurve as the body contouring solution of choice? As with all our carefully selected and qualified solutions, we are committed to offer the right body solution for our region. We believe that enCurve satisfies all of the requirements of the patients, therapists, doctors and clinic owners. We invite you to discover why. Clinical capability is an essential value to ensure success in practice. Our clinical training program supports practitioners to attain effective proficiency through cumulative knowledge and skills transfer. The first of its kind online training platform in the Middle East. Our e-learning ensures that your staff has around-the-clock access to test-based and monitored learning programs. Our 3,200 laser- and energy-based aesthetic medical solutions are serviced by our dedicated and certified biomedical engineering team covering 60 cities around the region. Our current under-warranty repair time average is 27 hours. A single point of contact, from pre-installation to final set-up with continuous operation. Imdad's online marketing strategy is focussed on driving patients to your clinic starting with educating patients through treatment-dedicated websites all the way to directing them to your clinics through our propriety clinic locator which provides patients with necessary information to contact you. Our customer success team’s ongoing consultancy and regular reviews provide recommendations and solutions to optimize your performance and secure success.